There is nothing more frustrating or worrying than a horse that won’t eat. Horses go off their feed for a variety of reasons which can include illness, unpalatable feeds or gastrointestinal disturbances such as hindgut acidosis. Thankfully though, there are some things you can do to get a horse eating again. Here are some useful tips for maintaining your horse’s appetite. Disease: if the horse is sick or has a problem like gastric ulcers it is likely that its appetite will be poor. Pain: if a horse is in pain it can dramatically reduce its appetite. Pain can include lameness, general muscle soreness from a hard workout and mild forms of colic. vitamin B1 deficiency. A deficiency of B1 is well recognised as causing loss of appetite in many animal species including horses. Also, if your horse is being fed uncooked grains like corn or barley there is a good chance the lack of appetite is due to grain fermentation and the resulting acidosis in the hindgut. During hindgut acidosis, thiaminase is produced by the hindgut bacteria and can lead to a vitamin B1 deficiency and the resulting loss of appetite. 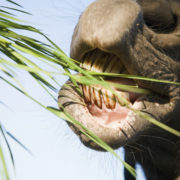 Unpalatable feeds: feeds and forages that are mouldy, stale, rancid or too salty will stop a horse from eating. Some feed ingredients like soybean meal can also be not very tasty and may make the more finicky eaters lose their appetite. Over-supplementing: feeding supplements in excess of your horse’s requirements can also make a feed unpalatable and stop a horse from eating. This is particularly the case with concentrated vitamin/mineral preparations and electrolyte supplements. Medications: putting medications like Bute into a feed can make it unpalatable and put a horse off its feed. Once you have identified the cause of loss of appetite, remove the cause or work with your veterinarian to treat the cause. Disease: work with your veterinarian to treat any illness that may be putting your horse off its feed. Pain: again, work with your veterinarian to identify and treat any pain that may be preventing the horse from eating. It may also be wise to have a dentist thoroughly examine your horse’s teeth and mouth for any issues that may be causing pain. Vitamin B1 deficiency: if your horse is eating plants that contain thiaminase, remove the horse from the pasture, supplement the horse with oral vitamin B1, and provide plenty of good quality hay. If your horse was being fed whole or uncooked grains, remove them from the diet and replace them with cooked grains (i.e. grains that have been micronised, extruded, steam flaked or thoroughly boiled) or high energy fibres like sugarbeet pulp or soybean hulls. Also provide the horse as much hay as it wants to eat. When loss of appetite is caused by hindgut acidosis the horse will often maintain its appetite for forage. An oral vitamin B1 supplement will also help to replenish depleted vitamin B1 supplies and return appetite to normal. Mycotoxin poisoning: if you suspect mycotoxins, try to locate the source of mycotoxin contamination. You can look for visible signs of mould (which doesn’t always indicate the presence of mycotoxin) or send the feeds off for a mycotoxin analysis. Equi-Analytical offer a mycotoxin screening service. Once you have located the source, remove it from your horse’s diet and replace it with a clean alternative. If mycotoxins are an ongoing concern you can look at using products like Mycosorb® that trap the mycotoxins and prevent them from being absorbed by your horse. Keep in mind that hay and chaff are common sources of mycotoxin poisoning. For more detailed info, click here to read our full article on mycotoxin binders. Unpalatable feeds: locate which feed is unpalatable for your horse and replace it with a palatable alternative. If you are unsure what is unpalatable, simplify your diet back to one or two ingredients that you think your horse will eat and then as his appetite returns gradually add any additional ingredients one at a time (leaving a few days between the addition of each new ingredient). If your horse stops eating again after you add a particular ingredient, remove it immediately and find a suitable alternative. In the case of it being salt, provide the horse with a salt lick and don’t add salt to its feed. If you are adding salt to your horse’s feed you can also just try removing the salt, as salt is one ingredient that will turn a horse off its feed very quickly. diet as oversupplying sodium (a component of salt) will make a horse’s feed very unpalatable. Medications: don’t put medication in a fussy horse’s feed. If you need to administer medication, try mixing it up with apple sauce in a large syringe or clean worm paste tube and administering it directly into your horse’s mouth after he/she has eaten their feed. Don’t do it before you feed as this will also stop them from eating in many cases. If you suspect a vitamin B1 deficiency is causing the loss of appetite you should administer the vitamin B1 in this way until your horse’s appetite has returned. Stress: if your horse gets upset by changes in routine try to keep things as consistent as possible and always have a buddy close by your horse. They are herd animals and don’t feel comfortable or safe when alone in most cases. If your horse has stopped eating its normal ration for a period of time, even after you remove or treat the cause of loss of appetite, it is likely your horse will take some time for its appetite to return to normal. During this time feed as simple a diet as possible. Start with access to as much good quality hay or pasture the horse wants to eat. Then gradually add ingredients one at a time, starting with the ones your horse likes the most. Remember to leave at least 2 days between adding new ingredients. With the exception of providing vitamin B1 where a B1 deficiency is suspected as the cause of loss of appetite, remove all supplements from the diet until the horse has a healthy appetite again. When you do reintroduce supplements, do so one at a time so you know if your horse doesn’t like the taste of one. Make sure the horse’s feed bin is in a comfortable position. For example, if your horse is lame in one of its forelegs, put the feed bin at chest height to allow the horse to eat without putting a lot of pressure on its front legs. 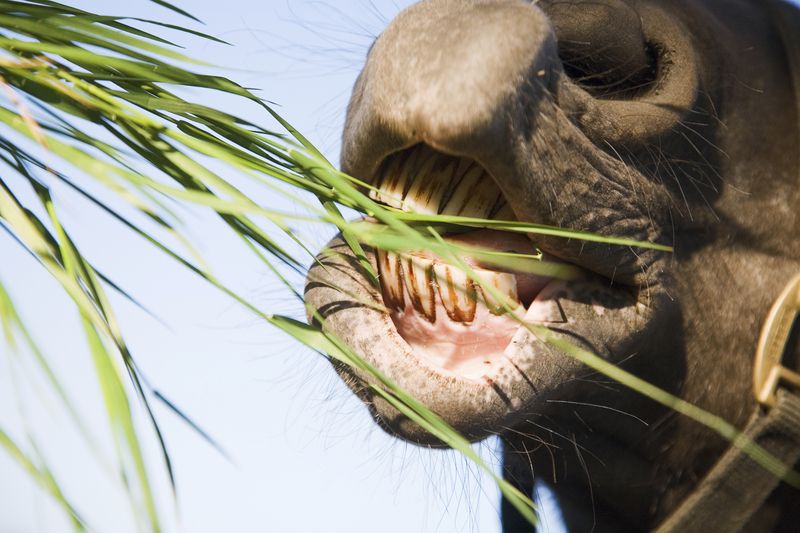 A horse will almost always eat fresh pasture, so if you have it available, let the horse graze and don’t try to force it to eat hay or hard feed. Keep a close eye on how much feed and water your horse is eating and drinking. If it is eating or drinking very little the risk of colic is high. If you are getting concerned about your horse, call your vet immediately to discuss a suitable management plan to keep the horse hydrated and nourished until its appetite returns.